This course is not currently available for sale to Pennsylvania residents. Contact us for details. Certified pharmacy techs may go on to management or other pharmaceutical specialties. Does your state require passing PTCB scores? Our exam prep covers all of the material you will be tested on! Some states leave requirements to the discretion of employers while others require testing and licensing. Regardless of the requirements, our course has been written to cover topics in the Pharmacy Technician Certification Board exam. Scroll down for a list of requirements by state. 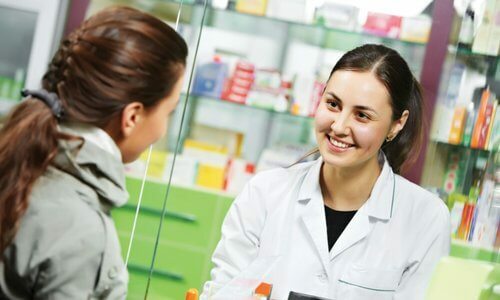 Pharmacy technicians aid pharmacists in dispensing medicine. The work environment can vary from working at a local pharmacy to working in a hospital. Fast food and retail jobs only take you so far. Before long it’s boring, there is no opportunity to advance, the pay is bad, and you just don’t want to do it any longer! How about a fast paced job in the ever expanding medical field? Pharmacy technicians are in demand. Due to the growing number of elderly in our population, medical jobs will be in demand well into the future. 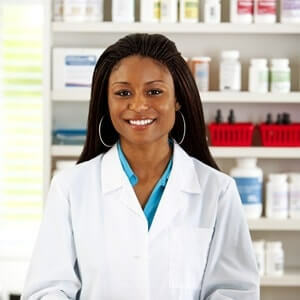 The Bureau of Labor Statistics predicts the demand for pharmacy technicians to grow by 9% in the next ten years. That is faster than average growth! 34,700 jobs are expected to be added in that time period. That’s great news! If you are a motivated, self starter, you can be employed and earning a nice salary in as long as it takes you to study for the examination. No need to spend years and many thousands of dollars to acquire a degree for a career that will yield the same income. Some states only require that you pass the Pharmacy Tech Certification Board exam while others require a little more education. We have included the requirements for each state in the pharmacy technician State Requirements section below. Our end of course exam is designed to ensure you have learned the information covered in each section of the course. The end of course exam contains 50 questions. Should you fail the exam, you will have two more attempts to pass it and you will be provided with remediation to help you study the areas in which you need to improve. The end of course exam is also designed to prepare you for the Pharmacy Technician Certification Board (PTCB™) exam, which is required in some states. The PTCB™ has written a 90 question multiple choice examination. You will be given 120 minutes to complete the examination. 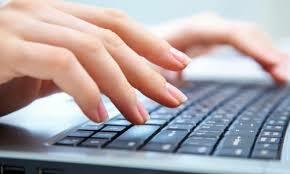 The scores are scaled ranges from 1000-1600 and you must obtain a score of 1400 or higher to pass. The test is completed at computer testing centers. You are permitted to utilize a simple calculator during the exam. The PTCB™ publishes an examination blueprint (www.ptcb.org) that provides the prospective technician with the subject matter that is covered on the exam. Our course will cover all of the areas contained in the blueprint so that you can feel confident that you have the information that you need to be successful. You will notice areas of our course place bold numbers at the beginning or end of some sections. These correspond to areas of the blueprint that need to be emphasized during your preparation. Not to worry. If you do not pass your examination on the first attempt you will have our study material available to you free of charge to study for another attempt. We have put together a comprehensive study course that will prepare you to be successful. 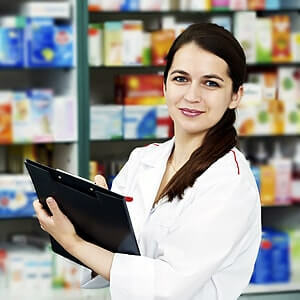 Each state and province has different rules for persons to work as a pharmacy technician. We have documented the specific rules at our state laws page but you can just as easily call us on the phone and we can clarify any questions you have about these items.